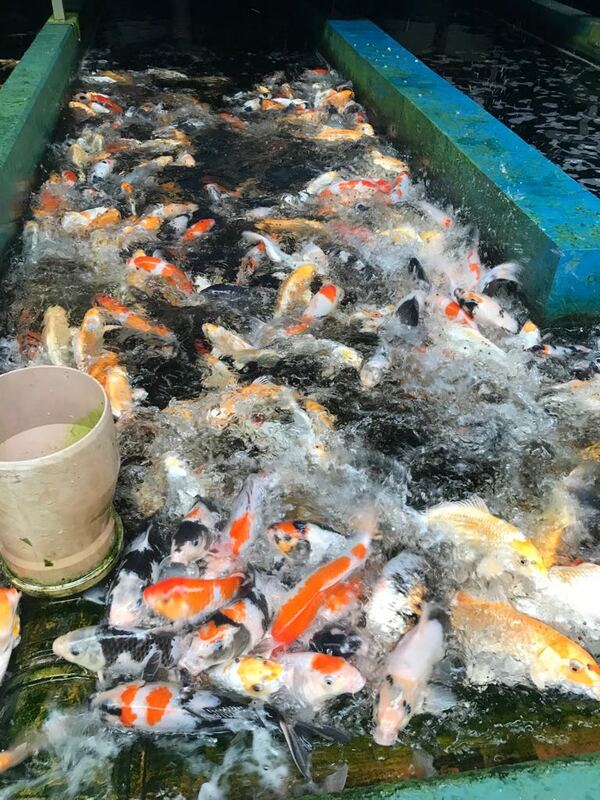 As the demand for large colourful fish grew at the end of the eighties, we also started to breed colourful carp (Eurokoi). Years later, the knowledge gained was transferred to the breeding of Japanese Koi. 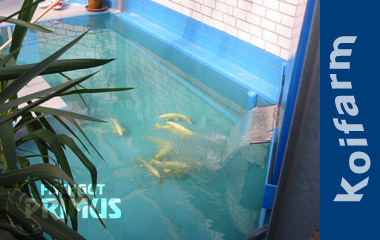 1995 the first parents were acquired directly in Japan, which was the foundation stone of the Koi breeding in Iserlohn. The purchases were completed in the nineties. 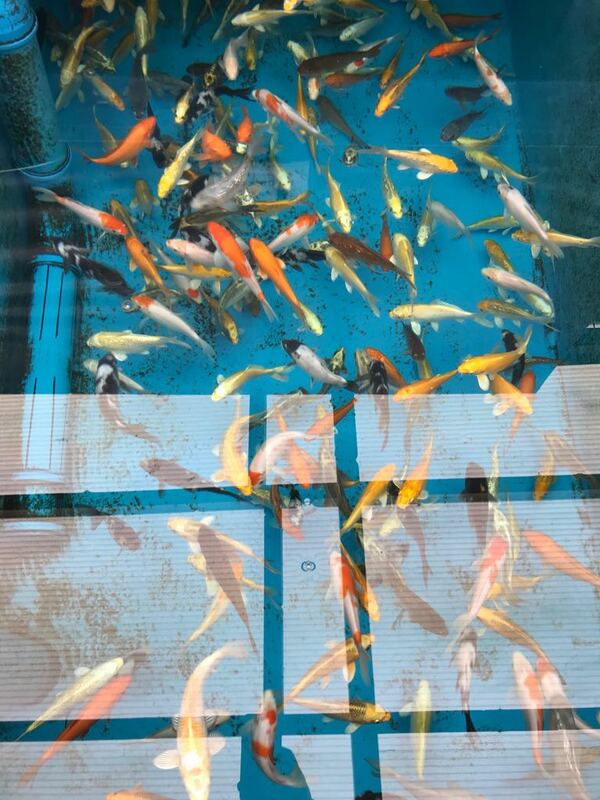 Now only from the few hundred Koi the now known colour varieties of Fischgut Primus were bred. Other color varieties had to be back-crossed complex. 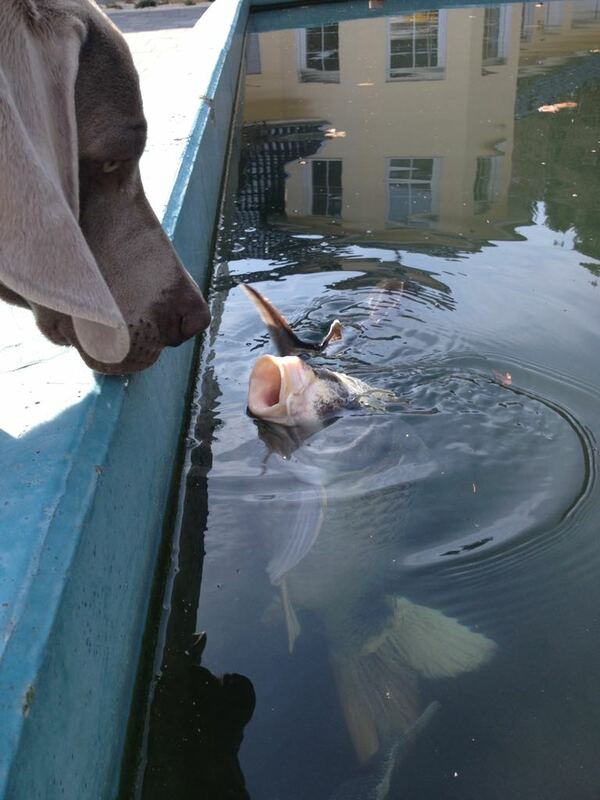 The big advantage was that the Fischgut Primus was spared from worse diseases because no more fish were bought. 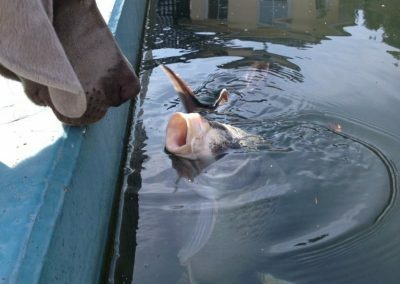 Nowadays only a few Japanese animals swim on Fischgut Primus and receive their well-deserved bread of mercy as friends. 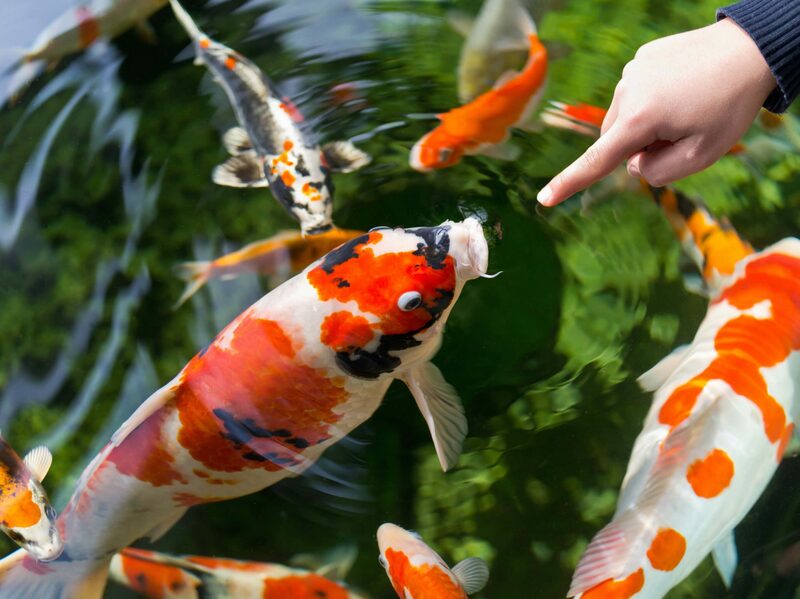 The majority of the new generations of Koi carp originate exclusively from Koi born here. 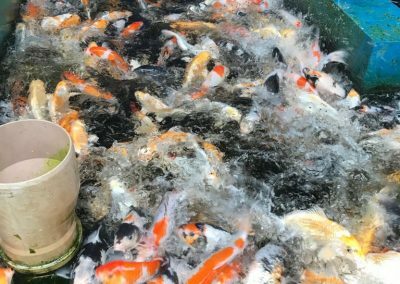 Since then, both the plant and the range of colour varieties of the Koi have been constantly expanded. 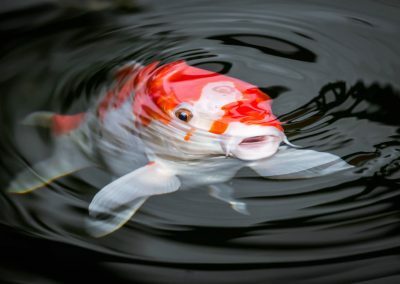 We are known for the following Koi colour varieties, for example the Kohaku, very strongly the Shiro-Utsuri and Showa, Sanke (Sansoku), Kujaku, Doitsu Koi, Chagoi, Soragoi and Ochiba Shigure, Ogon Koi, Butterfly Koi but certainly also for the resulting colour varieties like the Bekko. For the highest possible hygiene, our indoor circulation system is separated into many different circuits. 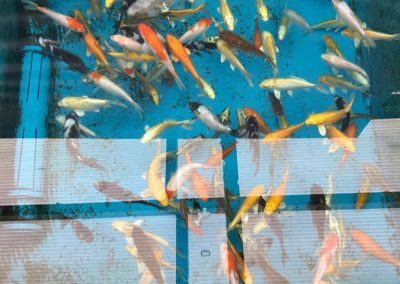 The Koi Carp facility in Iserlohn is certainly one of the most modern and largest facilities for breeding Koi in Germany. 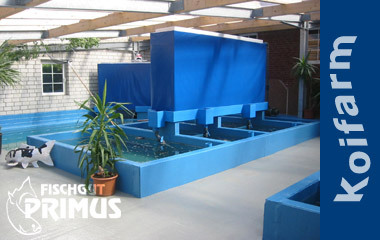 Starting from the place of reproduction, over breeding rooms, different young fish plants, as well as several large plants (basin size of over 100,000l water content) all of which are designed as circulation plants. Many thousands of Koi carp of all sizes and colours swim in several million litres of circulating water. 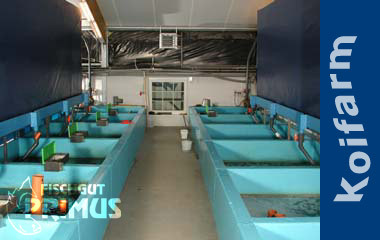 For reasons of fish hygiene, our outdoor facility is divided into various compartments. Also here all circuits work separately from each other and exclusively with well water. The individual circuits are equipped with large bio-filters, trickling filters and UV systems in order to achieve the best possible water quality. Via our solar plant and several combined heat and power units we can bring the water temperatures in each circuit to the desired temperature. If you would like to experience the Koizucht once, you can also join a guided tour, or directly book a company tour yourself. Please do not hesitate to contact us. You can also buy the fish on account and pay them conveniently later. 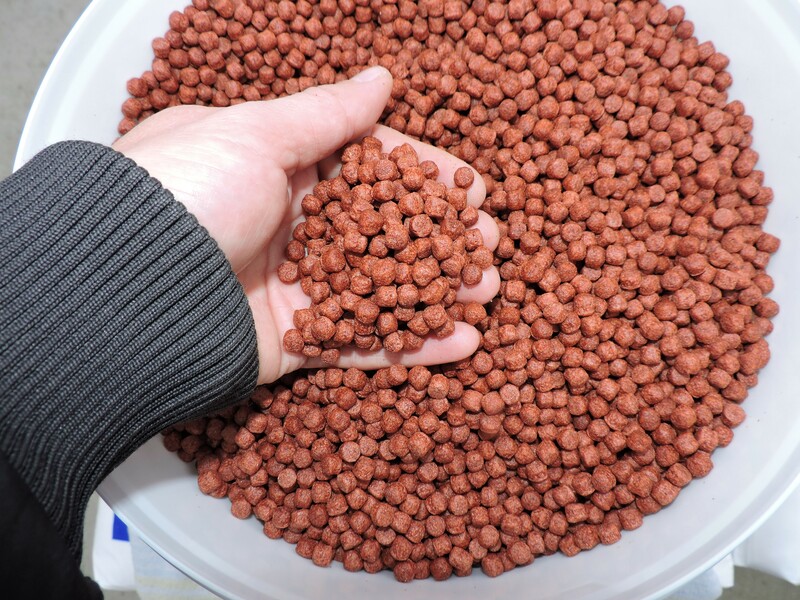 Larger quantities of feed or for dealers we can also supply our breeding feed in larger units of 10, 15 or 25 kg.